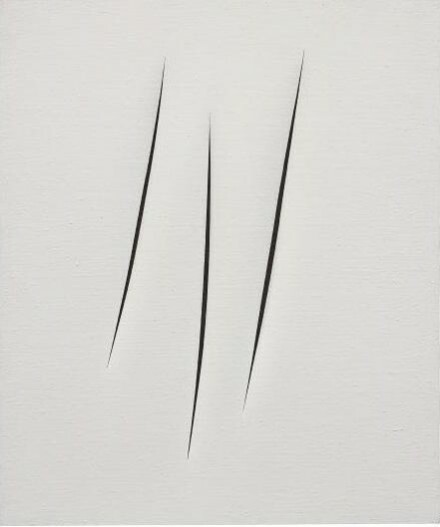 The week of Contemporary Sales is now underway in London, after Phillips concluded its first major auction of 2016, its “20th Century and Contemporary Art,” to uneven results this past evening, seeing 9 of 43 lots going unsold, and a final total of £24,590,500. Sales were decidedly reluctant this evening, despite the sale’s strong sell through this evening. Many works lingered at low estimate, or only achieved the low with the added premium and fees, a note that underscores realistic estimates set by Phillips, but perhaps a far less rabid buying market. 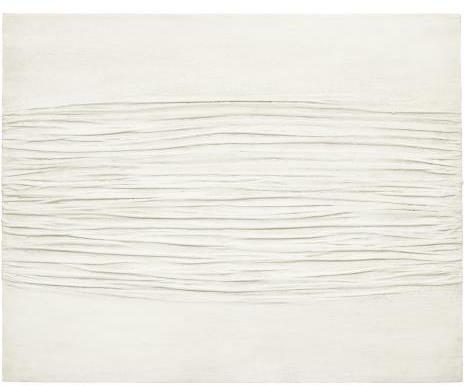 The sale began with a Latifa Echakhch work, which shot out of the gate to double its low estimate at £122,500. A Yayoi Kusama saw sufficient interest several lots later to get it to its low estimate of £500k, but then stalled somewhat, ultimately selling above estimate at £746,500. 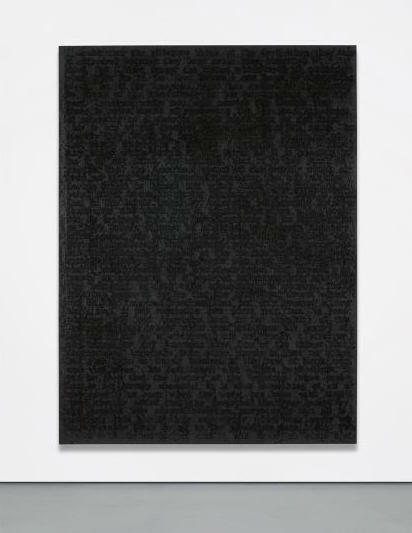 Only a few lots later, one of the evening’s highlights, Glenn Ligon’s Stranger #45 stuck at its low estimate, ultimately reaching a final price of £1,426,5–, followed by a Tauba Auerbach diptych that hammered below estimate to a £902,500 final. 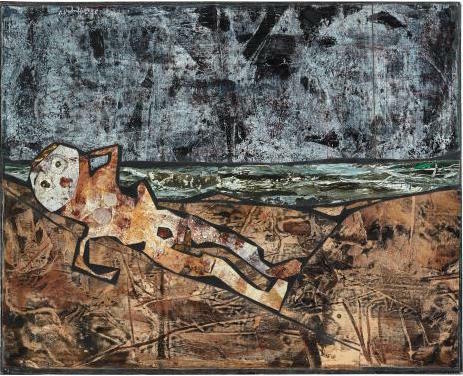 Sales continued to move quickly through the course of the evening, with a few exceptions, among them a Jean Dubuffet that cruised past its estimate to finish well above its £700k estimate for a final of £1,202,500, as well as a Lucio Fontana work that met estimate for £q,426,500. An Alberto Burri in the next lot also saw measured expectations, hitting estimate for a £1,986,500 final. Several more procedural sales followed after, bringing the auction quickly to the Piero Manzoni cover lot, which saw sporadic bids that pushed the work to its estimate and promptly halted, bringing a final price of £5,570,500. 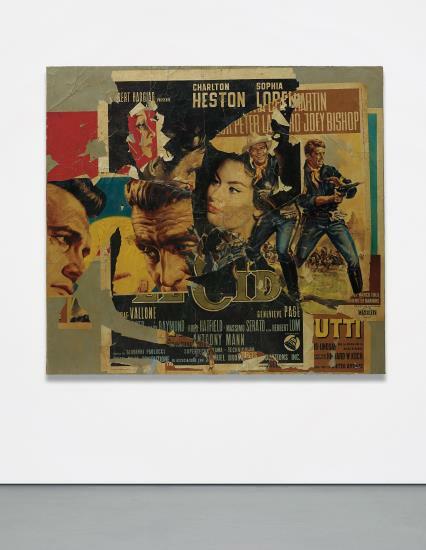 A Mimmo Rotella was one of the few surprises of the evening, doubling its estimate for a final of £1,082,500. A series of passes pushed the sale through the middle lots, punctuated by a number of additional sales clocking in below estimate, before the sale reached another top lot for the evening, a pristine Pierre Soulages that staggered below estimate and joined the group of works failing to find a buyer. Another top lot, an Alexej Jawlensky portrait, did considerably better, climbing on successive bids to reach £2,210,500. The sale managed to regain some of its stature in the late sales, pushing through to the end with only a handful of unfulfilled lots. The auctions continue tomorrow at Sotheby’s. This entry was posted on Wednesday, February 10th, 2016 at 11:33 am	and is filed under Art News, Auction Results, Featured Post, Show. You can follow any responses to this entry through the RSS 2.0 feed. You can leave a response, or trackback from your own site.